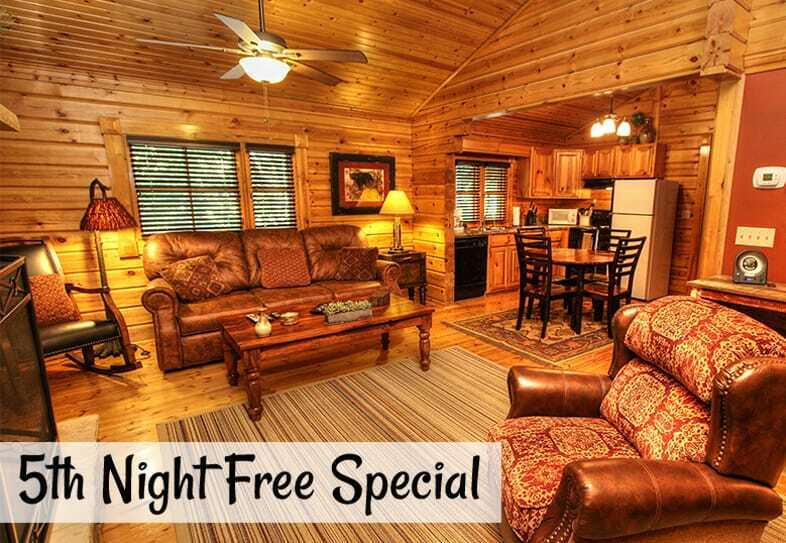 Stay 4 nights, Sunday thru Thursday, in an Old Mill Cabin or condo and get the 5th night FREE. 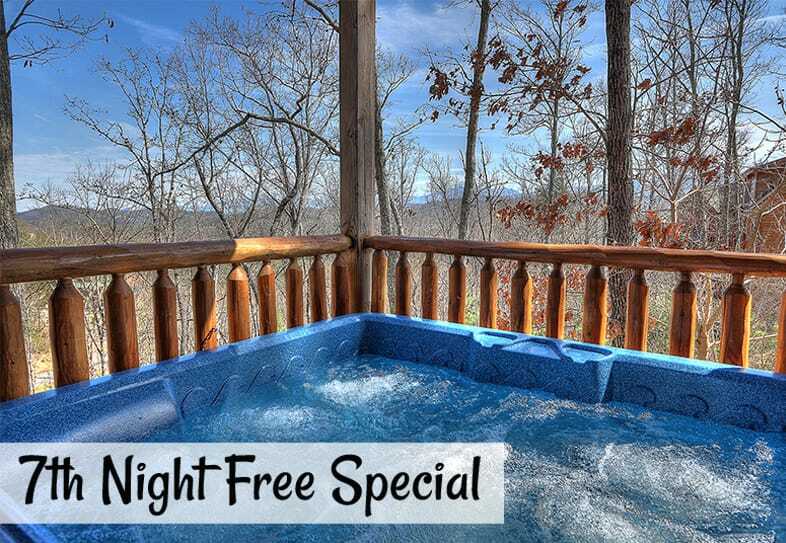 Mention “5th Night FREE Weekday Special” when you book. Not valid with any other offers or incentives. Valid on new reservations only. Excludes Holidays, special events and the months of June, July and October. Cannot be used on existing reservations. Subject to availability. 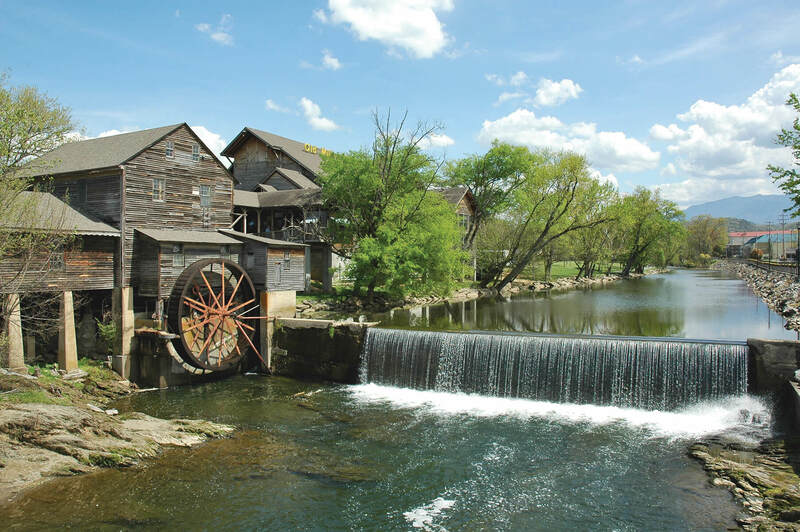 Stay 6 nights in an Old Mill Lodging Cabin or Condo and get the 7th night FREE. Mention “7th Night FREE Special” when you book.